We have some quick updates on ZeroHour's progress to share, but first, we are going to visit the manufacturer this week! We will be heading to China to check on ZeroHour's progress and visit the facilities where our flashlights are being made. We're very excited and can hardly believe we're at this moment where the machines are rolling on the product we designed only a few months back. ZeroHour's final production prototype has gone through rigorous testing over the past few weeks. This photo shows ZeroHour in an integrating sphere, which is used for optical power measurement. The sphere's interior has a highly reflective coating, and when you put ZeroHour's flashlight head inside and close it, the sphere captures all of the light generated by the LED. 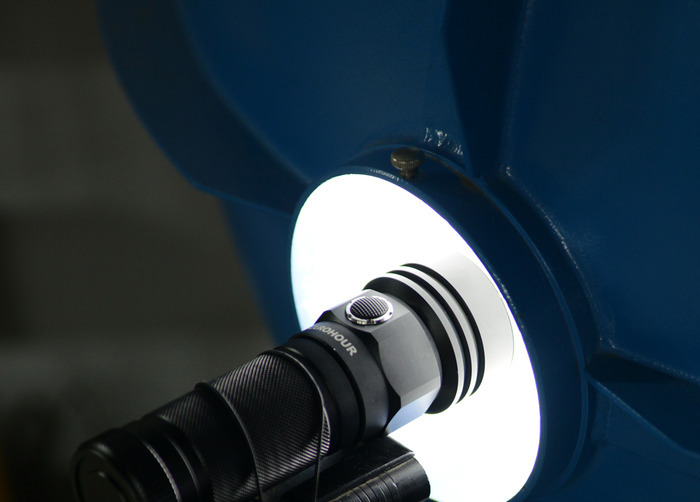 Engineers then use a spectrometer to tell them how bright the light is, so for example, they can verify that ZeroHour's 20/400/600/1000 lumen settings are hitting their marks precisely. Similarly, our batteries were tested on a lithium-battery analyzer, which measures power usage and ensures that the integrated overcharge/discharge safeguards are working correctly. The more you know! 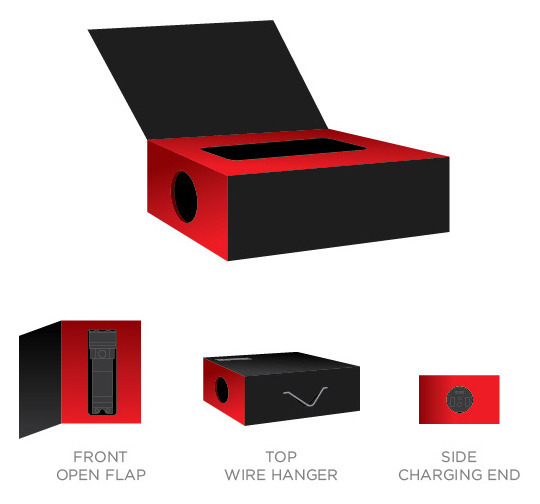 Here is a mock-up of our pre-sales packaging for ZeroHour! We wanted to balance our desire to have a package that pops with our colors and the unique features of ZeroHour, but also make sure we could produce it efficiently to get ZeroHour out for our earliest buyers as quickly as possible. We know that you're most concerned with what's inside the box, yet we're happy to deliver your flashlight in an eye-catching package filled with all the included accessories and cables! Stay tuned for our retail packaging, which we are continuing to finalize. Our upcoming trip allows us to connect with the very people who are making ZeroHour and ensure that everything continues to move ahead as scheduled, so we look forward to sharing more with you about our visit! The best way for you to follow updates during our trip is to subscribe to our social media feeds on Facebook and Twitter, and of course we'll provide a full update when we return at the end of next week.